Holmarc's Apparatus Model HO-ED-D-02A is meant for the study of diffraction patterns of single slits and to confirm Heisenberg’s uncertainty principle. Here, the diffraction pattern is closely studied using a detector mounted on a translation stage. 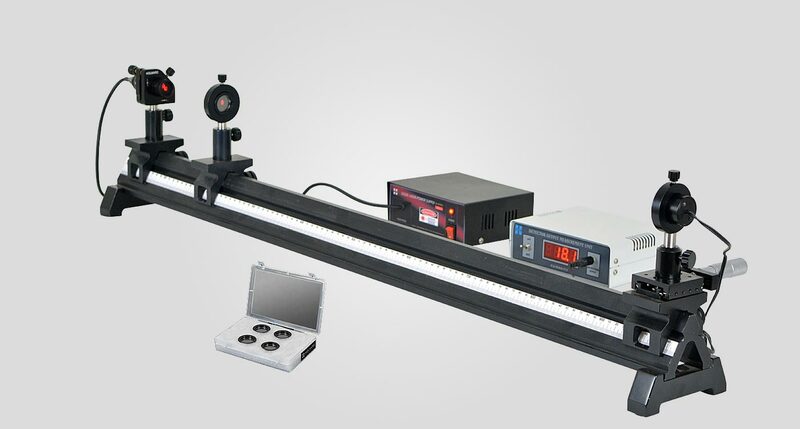 The device consists of 1.2 meters long optical rail along with carriages and opto-mechanics. At one end of the rail, X-translation stage with detector is mounted and at the other end, laser is held on a kinematic mount. Linear scale attached to the rail makes length measurements easy and convenient. In this apparatus, diffraction experiments using single slits are carried out with a photo sensitive detector and diode laser is used as light source. The diffraction slit is placed at a certain distance from the detector and the pattern is allowed to fall on the detector stage. 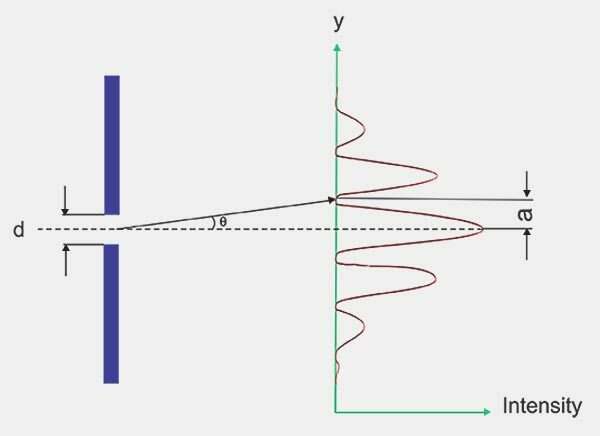 The micrometer driven stage is used to move the detector to extreme end of the diffraction pattern and the intensity is noted at close intervals by traversing the detector through the cross section of the spectrum. The intensity versus distance curve is plotted on a graph for calculations. The results are evaluated both from the diffraction pattern viewpoint, and from the quantum mechanics stand- point to confirm Heisenberg's uncertainty principle. Thus this apparatus clearly reveals that the narrow slit produces a broader momentum distribution. This confirms the Heisenberg’s uncertainty principle in a single slit diffraction.